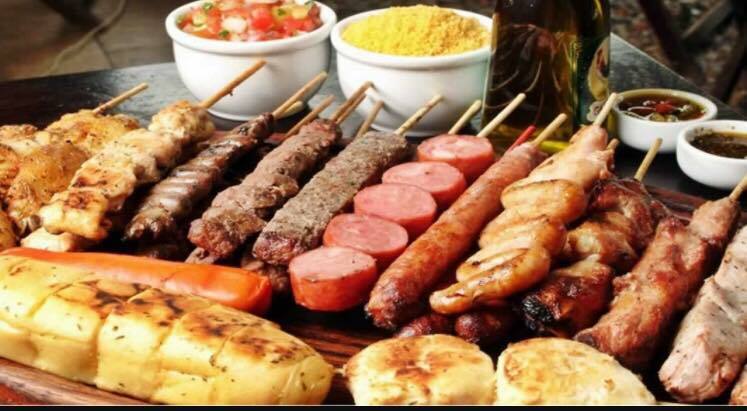 Brasa King Grill is Authentic Brazilian street food. Founded in Denver, Colorado in 2017. Brasa King services the surrounding Brazilian community. Since our inception in 2017, Brasa King Grill has strived to bring authentic Brazilian street food to the Denver area. Partnering with some of Colorado's newest and most popular breweries, Brasa King's freshly grilled meals pair perfectly with a cold beer and enjoying the great Colorado Outdoors. Our high-protein, low-carb meals are perfect for sporting events, from baseball games to after-the-marathon feast! More an experience than just a meal, Brasa King Grill is proud to cater events! If you're looking for authentic grilled Brazilian food, or just want the smell of delicious grilled foods to fill your space. Brasa King Grill 's meals are always cooked fresh to order, adding the perfect touch to any party. At Brasa King Grill we know how hard it can be to get away from work to get a delicious and affordable lunch. Well, now it's easy! Brasa King Grill Services several business communities around the Denver area, and is looking to bring lunch to you next!